After having an engine failure on our VW Bora we decided to buy a new (used) car. 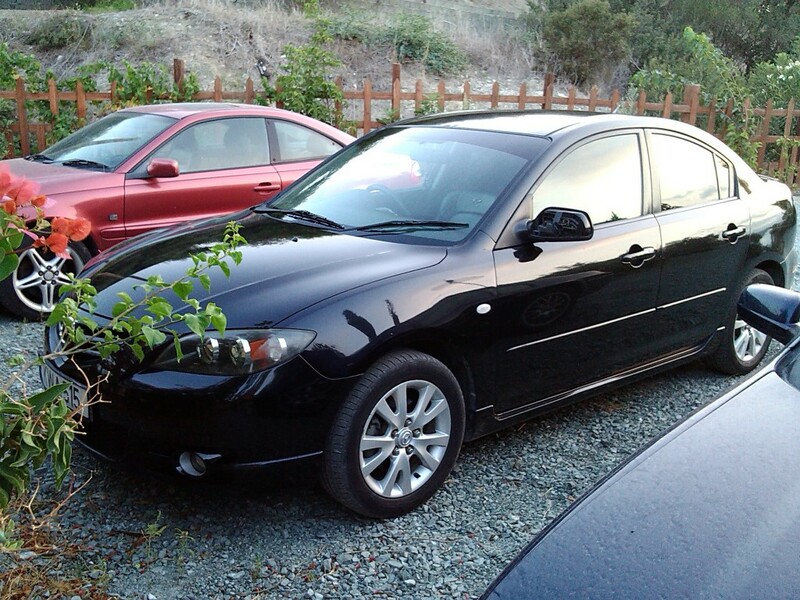 We searched around and found a nice Mazda 3 saloon 2004 1.6 petrol with an automatic tiptronic gearbox so we bought it without too much hesitation. I love the car but we did run into some problems on the way that thankfully I was able to fix myself so wanted to share my experiences with anyone that has one or is considering buying one. Before we bought the car we had it inspected by a friendly garage that we know. They checked just about everything (except the electronics) and found a slow leak on the power steering pump and that the car was in need of new gearbox/engine mounts. Even so, they recommended we buy it and fix the issues as it was a good car at a good price. We bought the car and fixed the initial issues but then found a few other problems but thankfully I was able to iron them out without costing us an arm and a leg! P0715 ODBII code, A/T warning light and stuck in 3rd Gear, and fixing it! After buying intermittently the car got stuck in 3rd gear and the A/T warning light came on in the dashboard every now and again – at first I was extremely worried. I hooked up�my OBDII scanner and scanned the car and found a code of P0715, which according to the OBDII handbook is an�Input/Turbine Shaft Speed Sensor issue. I read the Internet and found out that this was a common issue with Mazda 3’s and it was fixed with a simple sensor. While I was waiting for the part I noticed that the car would have a sudden hard shift when the engine was cold and then the A/T light would come on but when everything warmed up the A/T light went off and all was fine. When the part arrived I fitted it myself (5 minute job), reset the gearbox by disconnecting the battery for a few hours and took the car out. After that the problem was solved 100% although I still felt a slightly hard 1 – 2 shift every morning when the car was cold. The part cost �40 from the main dealer in the UK and I paid another �20 to ship it to Cyprus on a 2 day deliver service. This still worked out cheaper than paying 100 euro + VAT from the Cyprus stealership… and they wanted 3 weeks to get the part! Persisting 1 -2 Shift Shock, and fixing it! The hard 1 -2 shifts continued even after the Turbine Speed Sensor replacement, so I had the ATF changed and a new filter put on. The gear changes were now slightly smoother but it didnt fix the hard 1-2 cold shifts. I got reading the Internet and found that this “shift shock” was a common problem and even a complete flush with top of the line synthetic ATF like Valvoline Maxlife or Redline D4 ATF people still had issues with the shift shock. I eventually found the answer in forums. Apparently, a software update fixes the issue of shift shock and Mazda identified this late 2005 so only 2004-2005 Mazda 3’s have this issue and cars newer�than that do not. Being the kind of guy that likes to do these things myself I found out what I needed to do a software update. 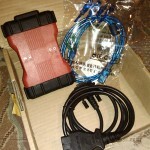 I used the have a VAGCOM clone cable for my VW and I thought there must be something similar for Mazda’s; after some searching I found there is and it is software by Ford for Mazda called IDS. However, this software requires a $2k interface called VCMII in order to plug in your vehicle. I realized it was over budget so nearly gave up and went to the dealer for an update, then found VCMII clones from China. I read about them and it seems that people have had good success with them. I scoured Ali-Express and found one for approx $200 and it was with me in 10 days with the software CD’s missing. Thankfully the seller provided a download link to the IDS install file but I later found I was missing the Calibrations install file. Thankfully a bit of torrenting found me the Mazda C81 Calibrations file too. I installed everything and connected the clone VCMII and it said that the device could not be read!!! I got worried and was prompted to put the device in recovery mode so it could be flashed again! I did it and 15 minutes later I had a fully working VCMII with an updated ROM, the latest Mazda IDS software along with the latest C81 Calibrations file. It automatically updated all 3 pieces of software from the Internet too and didn’t require and serial codes, which I was surprised about. I watched about 3 tutorials on flashing the PCM (powertrain control module) of Ford and Mazda vehicles (the electronics in modern Mazda’s are�all from Ford). Then I connected the device up, tested out the IDS software and followed the instructions on reprogramming the PCM. I was asked some questions such as if the car was from Singapore, if it had traction control and if it had the PATS system installed. I immediately stopped and researched the car to make sure I made no mistakes; then after answering all the questions correctly I flashed the PCM. Hey presto, after that the car no longer has shift shock!!! I fixed the problem for $200 and some nail biting. Missing wing mirror cover, and fixing it! When we got the car it had a few minor issues; one of the which was the fact that the wing mirror cover was missing. I was told that I could get a new one from the dealership for 50 euro’s when I bought the car. Then I realized that I would have to get it painted so it would probably end up costing me a lot more. I had a quick search on eBay and I found one for �8 GBP with a delivery charge of another �10 so I ordered it. It arrived and I already had cans of plastic primer and lacquer, so I bought some Metallic Black color and painted it myself. For approx 30 euros I had the issued fixed. Bad fuel economy, and improving it! So according to the book this car is meant to be returning 37mpg and I was getting more like 28-30mpg according to my calculations with some combined driving but most of it was highway. When I got the car I don’t know the last time when it was serviced was but one thing I do know is that it was running mineral oil that seemed pretty thick on the dipstick and I had no idea when the filters were changed. I read up on the engine and it has the Mazda Z6 engine which is a chain driven engine that is known for being a good piece of kit (which made me happy). Apparently, in North America and Canada they recommend running it with 5w20 oil, which is extremely thin and not available in Cyprus. In Cyprus, as we have a warmer climate, the thinnest you can find is 5w30 and in the Esso petrol stations they sell Mobil Super 3000 Ford Spec FE (fuel efficient) version, which is fully synthetic at�35 euros for 5 litres. I knew this was the perfect oil for the car so did an oil and filter change. I also put in a new air filter and wow what a difference. A simple oil and air filter change gave me more power and responsiveness and bumped up the car to do an amazing 34mpg with my combined drive, according to my calculation. Not bad for an automatic 1.6 litre petrol car. Broken CD Changer, and fitting an SD card MP3 player on the stock radio! One problem we immediately noticed after buying the car is that the in-dash CD changer was broken. On my last car I had a Pioneer head-unit that took an SD card and played MP3’s so ideally I wanted something similar. Unfortunately, the stock radio on the Mazda 3 is designed for the dash and removing it means that the central display in the car would stop working and so would the steering wheel remote buttons. Therefore, I looked for other options – one of them was an external CD changer emulator that plugs in to the stock stereo and allows you to play MP3’s directly from an SD card. This means that tracks can be changed via the steering wheel controls and the stock dash remains the same. I bit the bullet and located a Yatour SD Card Player for Mazda 3 radios on eBay for �31 including delivery directly from China, so really “cheap as chips”! In 2 weeks it was here and it even passed customs without and importation charge! (which is unusual). I fitted it and at first it didnt appear to work and I was extremely frustrated since I had to remove the old stereo, plug this unit in and feed the wiring through the dash before replacing everything. After scratching my head I decided to read the instructions and there was a troubleshooting section that explains you need to name the folders CD01, CD02, CD03 etc for it to work. So I renamed the folders and hey presto my new MP3 player in the car was up and running. We now have tunes! After sorting out the small issues this car had when I got it I now have a fantastic car that runs beautifully and I wouldn’t want to swap it for anything. I have to say that the Mazda handles better than any other small and cheap car in its league that I have ever driven. It doesn’t have the smoothness of an Audi or the strength of a Volvo – both of which I have previously owned… but it does however feel like a reliable, comfortable, practical and sporty car and I do not want anything else right now. I also get the feeling that this Japanese motor it is going to be more reliable than most European cars but only time will tell. Next Post:The Revolution Slider hack nuked my sites! I didn’t know you had to fix all of those! I hope you are done for now at least? It seems I am done for now, I hope! With cars I believe if you get a good Japanese marque and regularly maintain it you will rarely run in to problems. I have done quite a lot of research online and found out that small Jap cars seem to win for reliability and German cars are surprisingly bad. I love the websites http://www.reliabilityindex.com/ and http://www.parkers.co.uk/ for working out which cars are a good buy. If you are interested check them out.